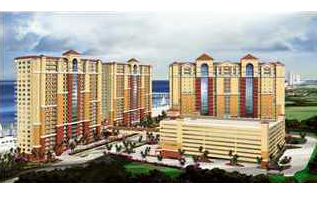 Panama City is welcoming a new condominium to its award-winning beaches. The well-known Calypso Resort is currently in the process of building Tower III across the street on the north side of Front Beach Rd. This pre-construction is highly anticipated as the city has not experienced any high-rise beachfront projects since 2008. The 22-story tower will house 250 units with most providing western views of the Gulf of Mexico. The project is owned by The Calypso Tower III, LLC and its investment partner, Mimosa Capital, LLC. Construction at the site is currently underway and the condominium is estimated for completion in the spring or fall of 2019. Buyers can begin reserving units by completing a reservation agreement and putting down a $5,000 deposit. 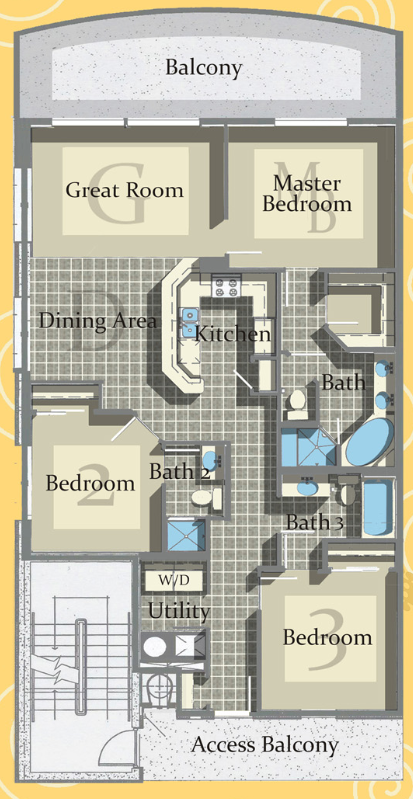 Tower III will offer four floor plan types of 1 and 3 bedroom units ranging from 1,061 square feet to 2,108 square feet of space including balconies. These condos will feature modern furnishings, open floor plans, fully-stocked kitchens, washer/dryer combos, and stunning views of the gulf's brilliant blue waters from the large, rounded balconies. Because of the tower's western-facing orientation, residents will be treated to spectacular sunsets over the Gulf of Mexico horizon. Calypso Tower III amenities will include a large resort-style pool, owner's lounge, state-of-the-art fitness center, an enclosed pedestrian skybridge, covered parking, and 24-hour security service. The resort is set in a very desirable location walking distance to several Panama City attractions. Pier Park, an impressive open-air shopping and entertainment center, is less than a mile away and features over 120 retail stores, an IMAX movie theater, entertainment venues, and numerous restaurants. Next door is Russell-Fields Pier, visitors can pay a small fee and walk up 1,500 feet over the Gulf of Mexico and catch saltwater fish such as cobia, pompano, Spanish mackerel, and red fish. The resort is in the heart of the city and is near plenty of family-friendly attractions including Gulf World Aquarium, Shipwreck Island Waterpark, mini-golf courses, and go-kart tracks. Just a short drive away are numerous championship golf courses, fresh Gulf Coast seafood restaurants, offshore fishing charters, and water sport excursions. 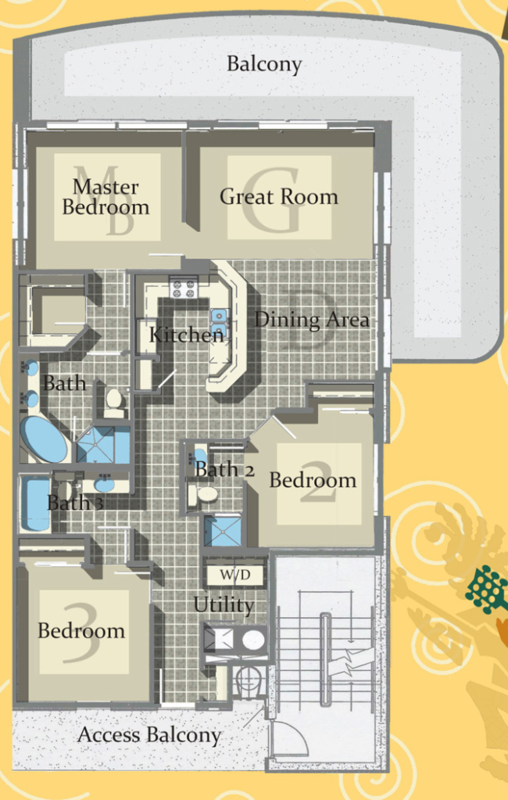 The condos at Calypso Tower I & II are established top rental-income producers in Panama City Beach, don't miss out on this wonderful investment opportunity to own a condo at one of the most desired beach destinations, Calypso Tower III. Please let us know if you would like further information for Calypso 3, other Panama City condos for sale, or would like to schedule a private viewing by emailing info@condoinvestment.com. To view a list of upcoming condominium projects along the Gulf Coast please visit our pre-construction condos page. 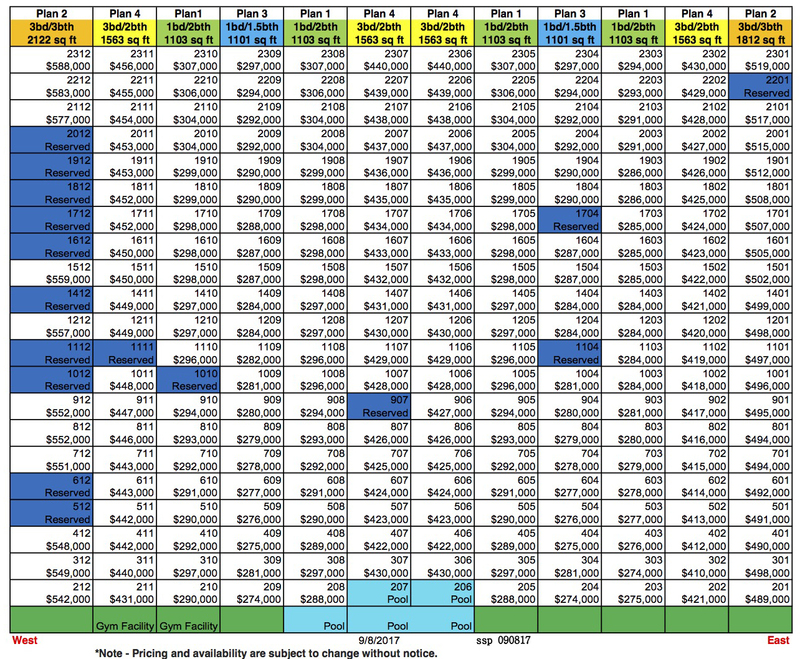 Please email info@condoinvestment for current reservation chart and financing details.